May’s government released its Brexit legal advice in full on Wednesday, a day after being forced to by MPs. He wrote that the arrangement could trap the UK in “protracted and repeated rounds of negotiations” and that it would “endure indefinitely” if talks to reach another arrangement collapse as neither side is able to pull out of the agreement unilaterally. Cox also said the region would be treated differently than the rest of the UK with “Great Britain essentially treated as a third country by Northern Ireland for goods passing” between the two. It “proves Northern Ireland will be in a full EU Customs Union while Great Britain is not,” he wrote on Twitter, adding: “No wonder they tried to hide the legal advice. May’s government was found in contempt of parliament in a vote on Tuesday afternoon for not releasing the legal advice in full. It had previously said that it would only publish a summary of the advice despite losing a binding vote in mid-November forcing it to make the whole document public. The main opposition Labour Party, which launched the contempt proceedings against the government, said the legal advice reveals the “central weaknesses” of the Withdrawal Agreement. “Having reviewed the Attorney General’s legal advice, it’s obvious why this needed to be placed in the public domain,” Labour’s Brexit spokesman Keir Starmer wrote on Twitter. Meanwhile Ian Blackford, the Westminster leader of the Scottish national Party (SNP), accused the government of “misleading Parliament, inadvertently or otherwise” during Prime Minister’s Questions. 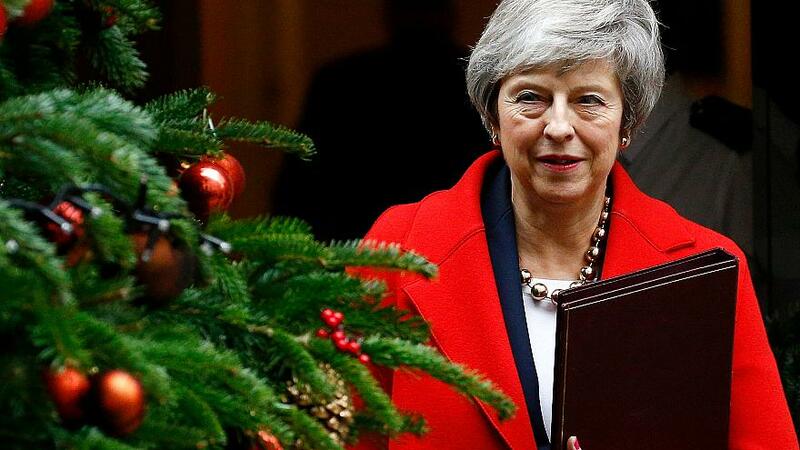 The Prime Minister rejected the accusation but the furore over the advice and the government’s attempt to stymie its release in full is yet another blow to her draft Brexit deal. British MPs are currently debating the deal and will give their verdict on it in a vote on December 11. If they reject it, the UK could then crash out of the EU without a deal. May has argued that the agreement would allow more time to negotiate access to key partnerships — in security, aviation, medicine — as a transition period would kick in after the UK officially leaves on March 29, 2019. But most MPs have proved resistant to her PR blitz with many within her own Conservative ranks stating they would oppose the deal. The DUP, whose support May’s minority government needs, has also repeatedly condemned it. Opposition parties including Labour, the SNP and the Liberal Democrats have also vowed to vote against it.